Whether you want to experience any action of events closely or for simply want to watch birds, binoculars are highly used all over the world. 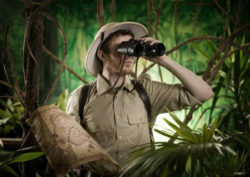 A great quality binocular can change the whole experience of viewing of an event. While gearing up for an outdoor activity one should always include a binocular in their backpack. A binocular can be also a great gift for children or for the bird watcher. So, whatever the reason is if you are looking for a binocular but don’t want to spend a lot of money on it then you have come to the right place. 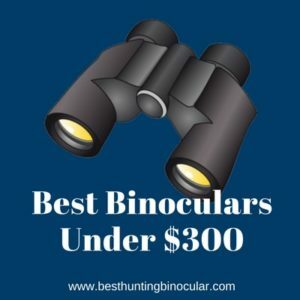 Here in this article, we are going to review the Best Binoculars Under $300. These are some of the options which are going to give you high-quality performance almost like the expensive ones, while at the same time you can be in a budget. There are many binoculars with this price range, but we have done our research properly and came up with the top 6 products for you. Therefore, without further delaying lets jump into the reviews. If you want to upgrade your current binocular and want to have a more powerful and sharper model, then the Celestron 71372 10×42 Granite Binocular is the perfect option for you. 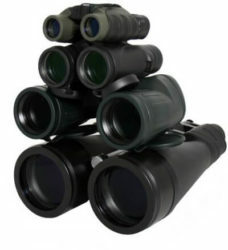 This particular model is considered as the best birding binocular from the manufactures. It features multi-coated lenses with BAK4 roof prisms. This Clestron binocular is going to provide you excellent sharpness and wide 65-degree angle of view. Now one of the main features of any binocular is the optical performance of it. So, from our testing we have found out that this product has a great glass and coatings which is fully able to deliver sharp and bright images. You will be really pleased with the fact how high reflectivity coatings it has. Next, about the texture of the Celestron 71372 10×42 Granite Binocular, again it doesn’t fail to impress us. Like all the other Granite models it has a smooth matte black rubber texture. It features the standard helical-twist mechanism. This has also the user adjustable diopter and eyecups. One doesn’t need to pay extra attention while using the binocular as the action is really smooth and precise. The rain-guards of the Celestron 71372 10×42 Granite Binocular is basic just like its other models. There are two deep cups which are made with pliable rubber. All in all, the rain-guards fit very firmly and there are less chances of dislodge. Lastly, we would like to say that the Celestron 71372 10×42 Granite Binocular is going to deliver you highest level of optical quality and therefore it is a highly recommended product from us. Next, in our list for the Best Binoculars under $300 we have got a fast-focusing product and that is the Vortex Optics Diamondback 10×42 Roof Prism Binocular. This binocular has received a great positive feedback from its users. It has so many amazing features which all have resulted to provide great durability, clarity and superior quality. The Vortex Optics Diamondback 10×42 Roof Prism Binocular features 10x magnification through 42mm objective lens. It provides a wide field of view and therefore it is a perfect option for the adventure lover people. If you are going for an adventure at the forest or any kind of outdoor activities this Vortex binocular is a must to take. 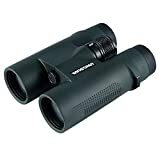 The main feature that made this Diamondback 10×42 Roof Prism Binocular so good and unique is, its amazing optical features. The multi-coated lenses will produce extremely clear images and will allow high light transmission. To improve the contrast and resolution of images it has multiple anti-reflective coatings. The Vortex Optics Diamondback 10×42 Roof Prism Binocular is a fully weatherproof binocular. No matter whether you are taking it into rain or fog there will be no issue with the picture quality. There are O-rings which will keep the glass free from any kind of debris, moisture or free from dust. This binocular has rectangle eyecups that can be multi-positioned so that you can have view from each and every angle. To have a comfortable feeling in your eye area it has a soft and tapered style rubber cushion. All in all, the Vortex Optics Diamondback 10×42 Roof Prism Binocular is a great product considering its price and all the features. The product which has made into our list as one of the best binoculars is the Zeiss 8×25 Terra ED Compact Pocket Grey-Black Binocular. The Zeiss Terra pocket binoculars is known for its premium quality at a reasonable price. This particular model from the Zeiss is one of the most affordable one and that’s why it got a great attention of all the people when it hit the market. However, not only for the price range, this product has many features to offer for its users. 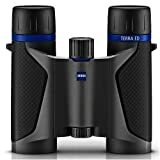 First of all, the Zeiss 8×25 Terra ED Compact Pocket Binocular features 8x magnification and a field f view of 52 degrees. This binocular will be a great choice for nature observation, bird watching, traveling or for any outdoor activities. Another great feature of this product is that it is weatherproof. It can operate smoothly between -4 to 145-degrees F. This is waterproof and fog proof. Now please note, fog proof doesn’t mean that it will never fog up. If you left the binocular without sealing, or if you bring it suddenly from a humid weather to cold weather then it will fog up. From our testing, we found the eyecups are really solid and stiff of the Zeiss Terra Binocular. On the other hand, the eye relief was also excellent, even really good for the eyeglass wearers. 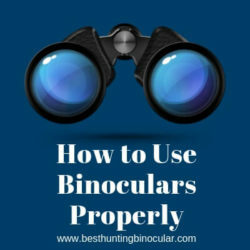 This binocular is really made in way so users can use it with an ease. It can provide smooth exact focus that one can get only using one’s index finger. The Zeiss 8×25 Terra ED Compact Pocket Grey-Black Binocular can also perform really well under low light conditions. Therefore, we think this is a highly recommended product. As our fourth pick, we have one of the most popular models of the renowned brand Nikon, it is the Nikon 7577 MONARCH 5 10×42 Binocular (Black). The Monarch binoculars from Nikon are considered as the best binocular for bird watching. All of their models are built with high quality and comes in a good price range. This particular model is no exception and has fully justified with the brands name. The Nikon Monarch 5 is almost same as the previous Monarch models just a little improvisation of resolution and brightness. Moreover, it weighs lighter than the previous models. Therefore, if you are planning to buy one from this range, this model will be the perfect choice. Like all the Nikon Monarch model, the Nikon 7577 MONARCH 5 10×42 Binocular is totally fog proof, waterproof and even shockproof. It has a good quality rubber coating which made it to stand from all the bumps and bruises. However, these are not the main reasons for which one should go for this binocular. The most useful feature of this binocular is that it has a great magnification of viewing 10×42. 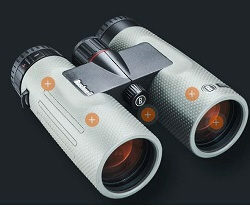 The Nikon Monarch 5 binocular features dielectric high -reflective multilayer prism coating. This feature ensures that you are having the maximum brightness and a superior image quality. Hence, this binocular is a must if you are going for a cloudy weather or at low light places. In short, we can say that this Nikon binocular is really easy on eyes and provides a wide field of view. One will get a high-quality product at a very good price and therefore it is worth of a try. If you are looking for an advanced binocular for bird watching then the Wingspan Optics Freedom Ultra HD – 8X42 Binocular is the perfect one for you. This binocular is especially designed for watching birds so that you get the ultimate experience. As a bird watcher, you need a product that can provide you the ultra-wide view and this binocular perfectly meets that requirements. The Wingspan Optics Freedom Ultra HD – 8X42 Binocular comes with ED glass, phase correction and close focus. ED glass helps you to get the sharpest and clearest images. This is an extra-low dispersion glass which helps to reduce chromatic aberration. All of these features enhance the bird watching experience for anyone. When you are looking for a binocular for bird watching then the magnification level should be 8x42mm and this should be highest. This Wingspan binocular has exactly this magnification. 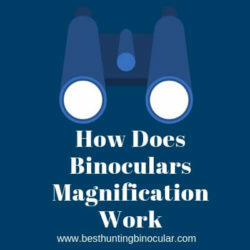 The reason why you need a smaller magnification is that it will provide more field of vision and great zoom and detail. 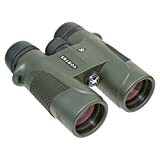 Furthermore, it is a multi-coated binocular so one is going to get the highest detailed magnification that one should have while bird watching. There are many other models available in the market which are made especially for bird watching, but those will cost you a lot than this. At this price we think this is undoubtedly a great product for the bird watchers. The Wingspan Optics Freedom Ultra HD – 8X42 Binoculars is going to give you the opportunity to observe the best viewing of birds. Last but not the least, to make it into our list for the Best Binoculars under $300 is the Carson 3D Series High Definition Waterproof Binocular. Carson is a widely popular name in this industry and among their many different models the 3D series are mainly popular for its excellent image quality and lightweight natures. This binocular weigh only 1.4lbs which is the lightest one from our list also. One can easily handle them and can travel with them. The main reason for which you are getting great quality images from the Carson 3D Series binocular is that it has included the feature of Extra Low Dispersion Glass (ED glass). This glass assists to provide high definition and sharp images. Other than this feature, it has also fully coated lenses and dielectric coated prism which all results in outstanding image superiority. If you are glass wearer then this binocular is going to give a good and long eye relief. The Carson 3D Series binocular has twist down eye caps and extra eye relief so that you feel super comfortable while using it. For ease of use, it is also armored with a good quality rubber. This will keep safe the binocular from any kind of scratch or bumps. The Carson 3D Series High Definition Waterproof Binocular with ED Glass is ideal wildlife observation optics. 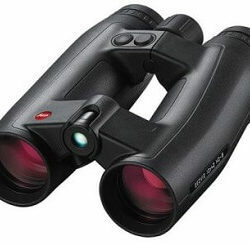 It is a lightweight binocular that comes with a great range of features. So, these were the Best Binoculars under 300 dollars which are going to provide you an excellent experience but in an affordable price. All of these binoculars have more or less same kind of magnification, field of view, design, chromatic aberration and ease of use. Still, if we want to suggest one product then that will be Vortex Optics Diamondback 10×42 Roof Prism Binocular. Hope our article was able to help you to make your purchase decision.